Winter in Florida is a lot different than the rest of the country. Instead of going outside for snowball fights, sledding or building snowmen, Floridians are left to create their own wintertime experiences. For my family, that means making weekend trips to visit many of the local theme parks and attractions, where special events are taking place throughout the holiday season. These events get us in the holiday spirit even though the temperatures outside read otherwise … plus, they’re just about the only place in Florida with a chance of snow! 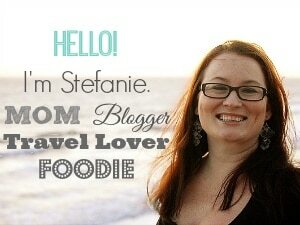 I partnered with Expedia to bring you 5 of my favorite family-friendly winter & holiday events in Florida. Which is your favorite? Gaylord Palms ICE! – My favorite holiday event is the only one listed that isn’t at a theme park. The Gaylord Palms Resort in Kissimmee puts on an AMAZING holiday display made entirely out of ice (over 2 million pounds of it!) carved by artisans from Harbin, China. This year’s theme is The Nutcracker with scenes from the classic ballet. In addition to the breathtaking colored ice, there are four ice slides to race down and snow tubing runs made of “real Florida snow”. 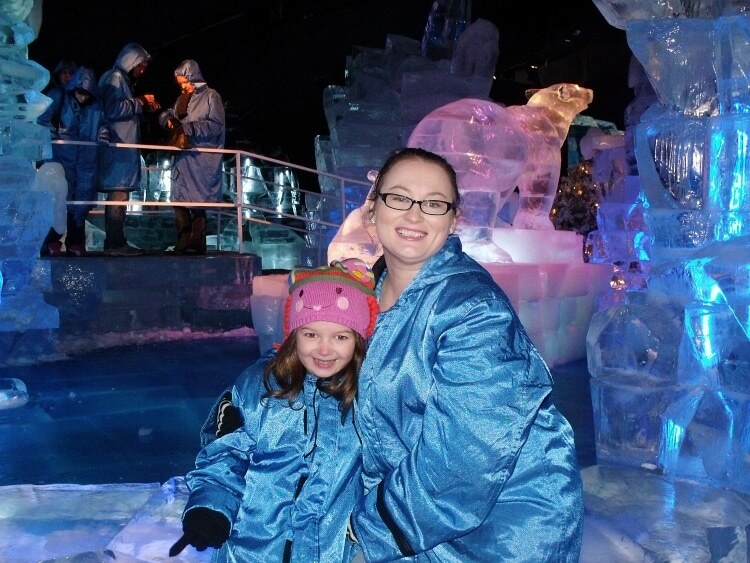 This is one Florida attraction that you will want to bundle up for because ICE! is kept at a chill 9 degrees. The event takes place from November 15, 2014 – January 4, 2015. Holidays at Universal Orlando® Resort – With two different theme parks, Universal Orlando has two separate events going on from December 6, 2014 – January 3, 2015. At Universal Studios Florida®, the Macy’s Holiday Parade™ takes center stage with colorful balloons and floats, straight from the world famous Macy’s Thanksgiving Day Parade in New York City. Additionally, Mannheim Steamroller performs at Universal Studios on select Saturday and Sunday nights during the holiday season. 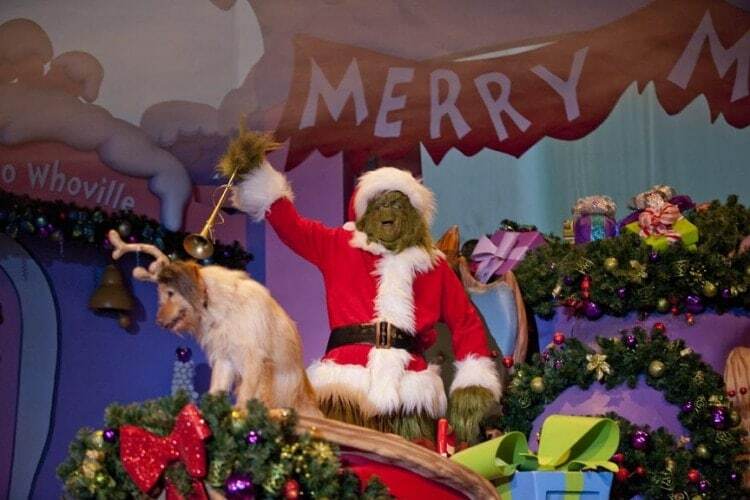 Over at Universal’s Islands of Adventure®, Grinchmas takes over Seuss Landing™ with a live show of How the Grinch Stole Christmas. The best option for experiencing all of the holiday happenings at Universal is to purchase park-to-park admission tickets. This way you can see everything in the same day, and ride the Hogwarts™ Express between Hogsmeade™ Station in Universal’s Islands of Adventure® and King’s Cross Station in Universal Studios Florida®. 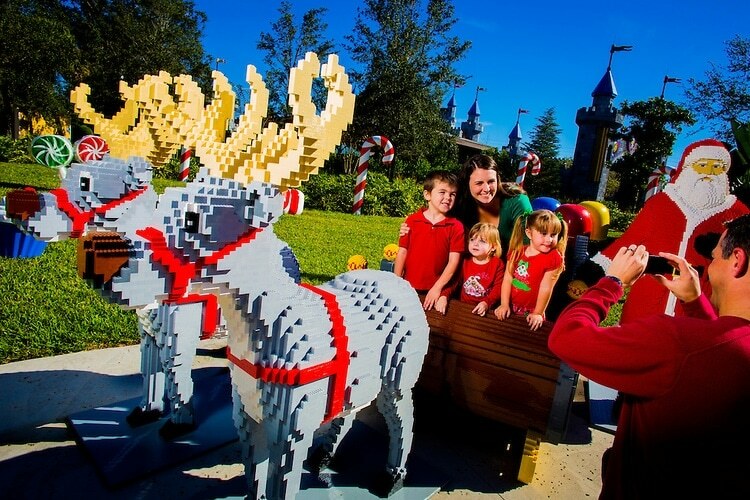 Legoland Christmas Bricktacular – It didn’t take long for Florida’s newest theme park to get into the Christmas spirit with its own holiday event. Christmas Bricktacular runs on weekends in December and is included with regular them park admission. Festivities include a 30-foot-tall LEGO Christmas tree, LEGO Santa Scavenger Hunt, and meet and greet opportunities with LEGO Toy Soldier Characters. Additional holiday entertainment will also be happening throughout the park. Legoland Christmas Bricktacular is a fantastic holiday event for younger children as many of the rides are suitable for 2-5 year olds. 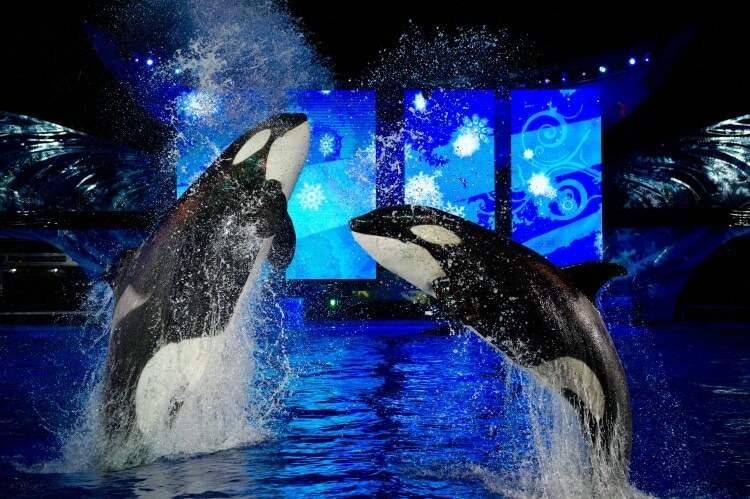 Seaworld’s Christmas Celebration – Seaworld Orlando is practically transformed into a winter wonderland for its Christmas Celebration event on select dates from November 22 – December 31, 2014. From THE POLAR EXPRESS Experience, to the colorful Sea of Trees, and the Shamu® Christmas Miracles show, there’s something for every member of the family to enjoy. After dark, the park comes alive with twinkling lights, carolers and even a snowfall or two. This event is also included with regular theme park admission. 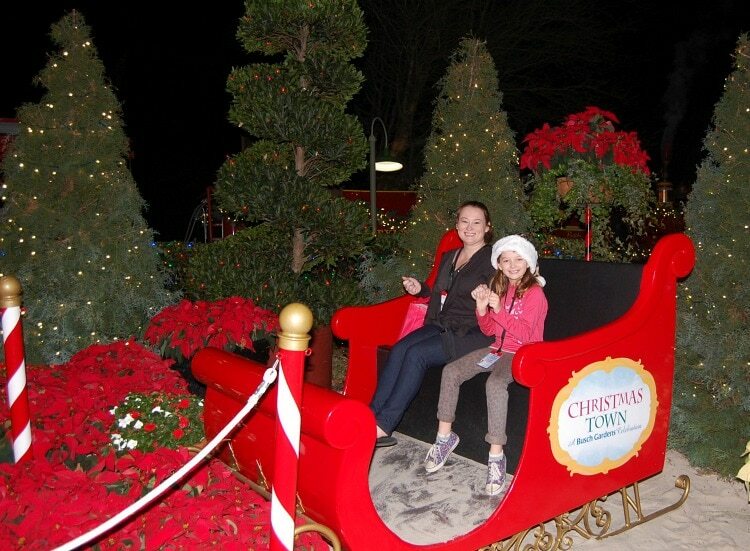 Christmas Town Busch Gardens – Back for its third year, Christmas Town at Busch Gardens Tampa is once again being turned into a holiday wonderland with sights, sounds and flavors of the season. Unlike previous years, however, the 2014 edition of Christmas Town will not feature Snow World. The good news is that the event is now included with regular theme park admission, so families can enjoy a full day of play before winding down the evening on the Christmas Town Express, hanging with African penguins at Penguin Point and paying a visit to Santa’s House. Plus, more than 1 million Christmas lights will be on display throughout the park. Christmas Town is open 23 select dates from November 28 – December 31, 2014. How do you celebrate wintertime in Florida? Whoops! I missed some. Thanks for catching it!